Almost everyone knows that the 2018 Jeep Wrangler has decades-old roots, but unless you’ve done your research, you may not know just how deep these roots go! Before you take the time to get behind the wheel, make sure you know the facts. 1945: The World War II Jeep, once utilized by American soldiers, is converted into a mass-market model—the CJ or Consumer Jeep—by Willys-Overland. 1986: The 1987 Jeep Wrangler, a visual descendant of the discontinued CJ, is unveiled at the Chicago Auto Show. This original Jeep will become known as the Wrangler YJ. 1996: The second-generation Jeep Wrangler is introduced. The 1997 Wrangler TJ regains the rounded headlights of its distant past and receives coil spring suspension. 2006: The fully-renovated 2007 Jeep Wrangler JK is brought on the market. This time around, it’s available in a classic 2-door or a new 4-door iteration. 2017: In late 2017, the engineers at Jeep debuted the all-new 2018 Jeep Wrangler JL. Nearly every component in this still-adventurous vehicle, from the powertrain to the interior, has been redesigned with luxury in mind. The 2018 Jeep Wrangler’s history and standard owners’ benefits make it one of a kind, and there’s never been a better time to take one of our new vehicles for a test drive. 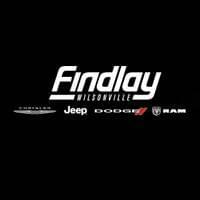 When you visit your friends at Wilsonville Jeep RAM, we’ll help you value your trade-in and get the financing you need. Drivers from Wilsonville, Sherwood , and Salem can contact us today to get started.